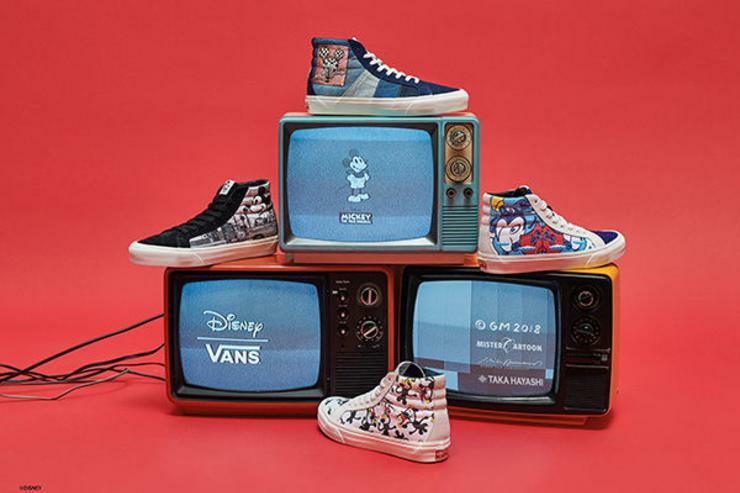 There is no news in Vans collaborating with Disney, I know. But this time, catch in the middle of the collaborations/celebrations popping-out to honor the creation of one of the most famous cartoon charters, the skateboarding lifestyle giant has found an original way to give its contribution. 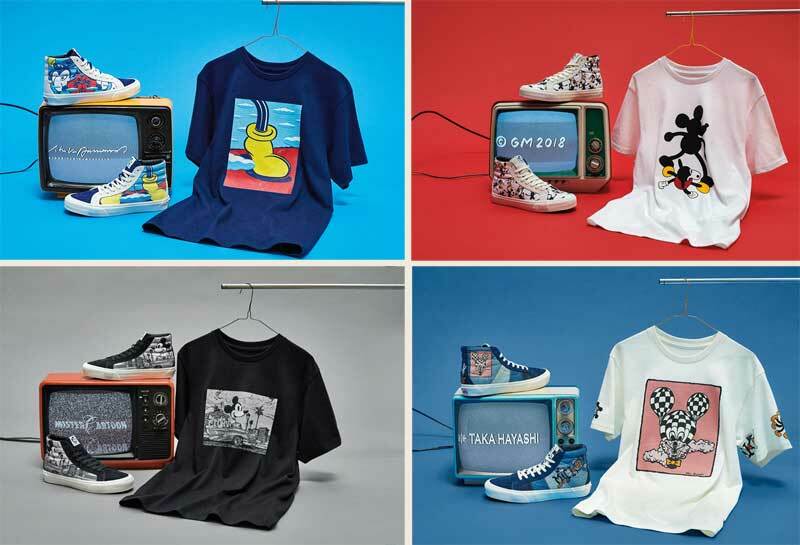 The company tapped four artists: John Van Hamersveld, Mister Cartoon, Geoff McFetridge and Taka Hayashi, to pay homage to the beloved Disney’s mouse with a special one-of-a-kind artwork. The artists were called to give their own vision and interpretation of the values that Mickey represents. The result are four original designs that try to catch the essence, the cheer and optimism of the character. The Vault by Vans collection is featuring these original designs both on the classic Sk8-Hi silhouette, as well as a matching t-shirt. Launching tomorrow, the collection will only be available on select retailers and on Vans’ on-line store.